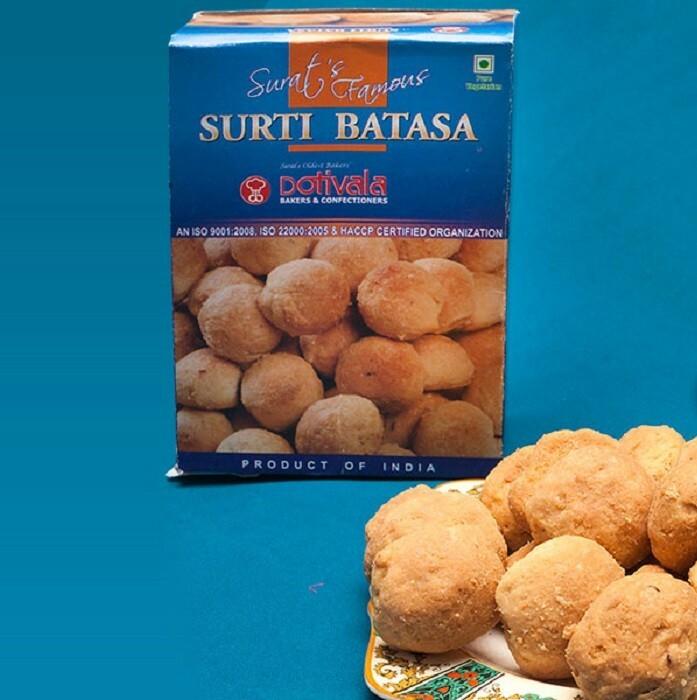 Buy Surti Batasa of Dotivala from Surat online | Authentic Indian Sweet , Savories and Delicacies from the place they originate by Moipot. Life is a roller coaster of fun and decadent biscuits, especially from Dotivala’s! Surti batasa from this iconic store are very popular and interestingly baked goodies that people from generation have grew old eating. If you are looking for a quick savoury snack, enjoy this heavenly delight today!